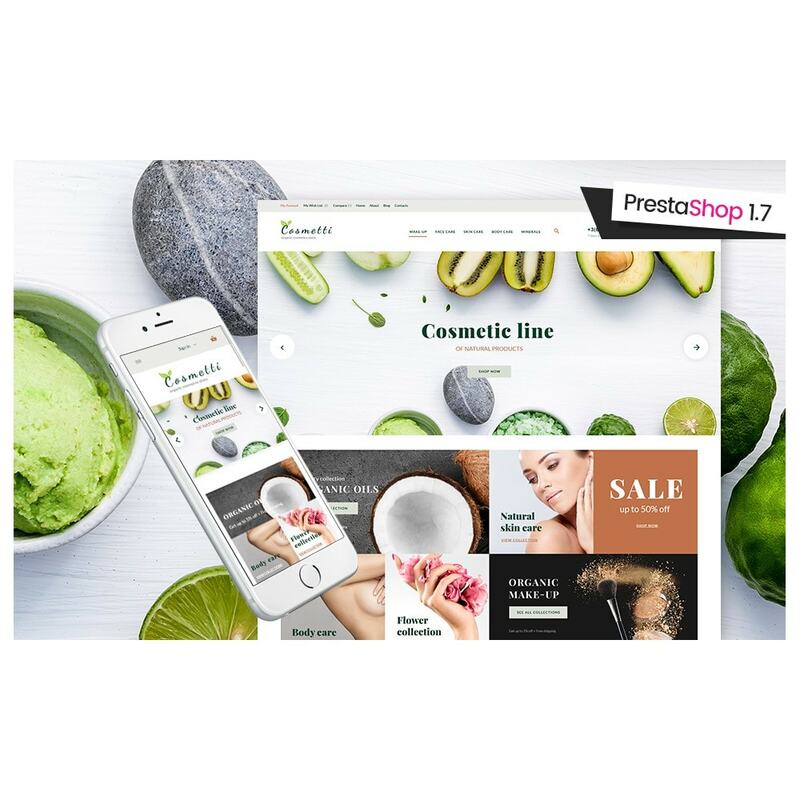 If you're going to build a PrestaShop store for selling natural organic cosmetics or other skin care products, this theme may be an excellent choice for you. 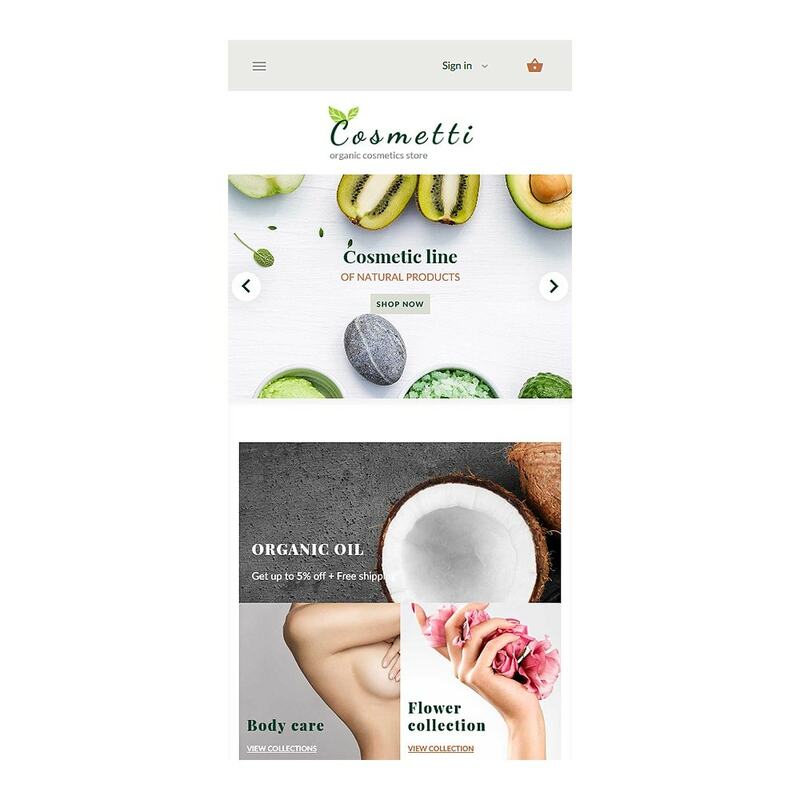 Cosmetti features a beautiful design with a thought-through typography and pastel colors, which suits perfectly into the natural products niche. 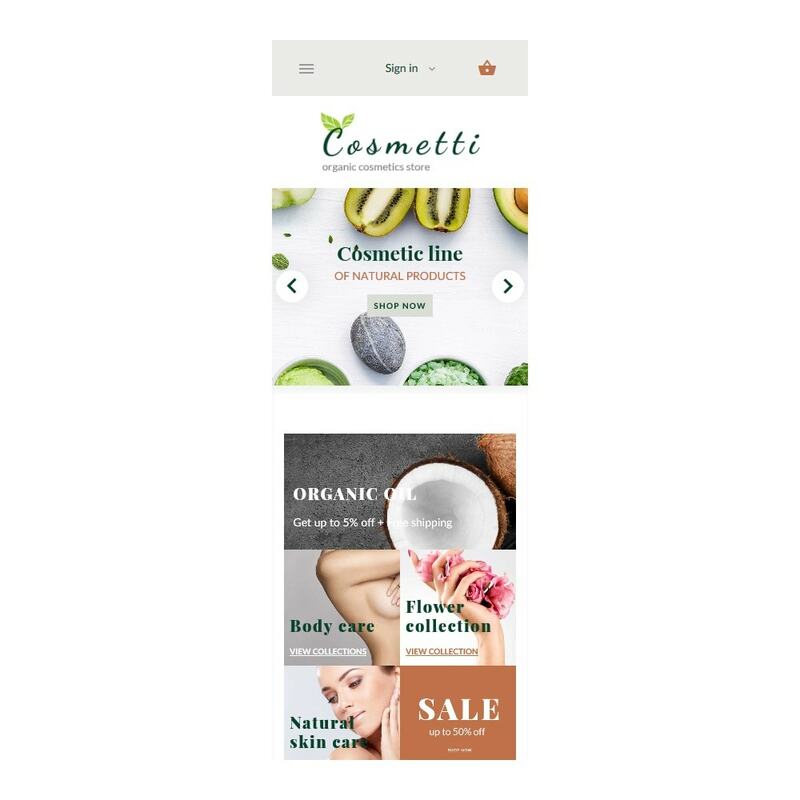 Use large grid-based product banners to showcase your latest arrivals and give your customers a better understanding of your inventory. 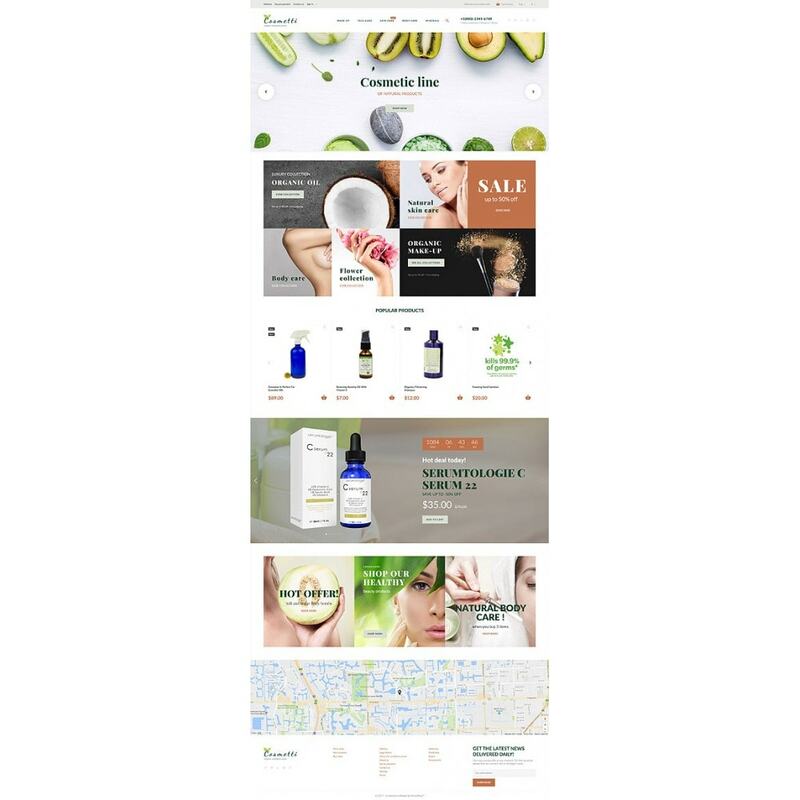 Moreover, you can show off all product categories in one place thanks to a customizable mega menu. A responsive Deal of the Day section enables you to feature a slider with product discounts and a counter. Thanks to built-in Google maps your visitors can always know your physical address so that they could shop offline if needed. 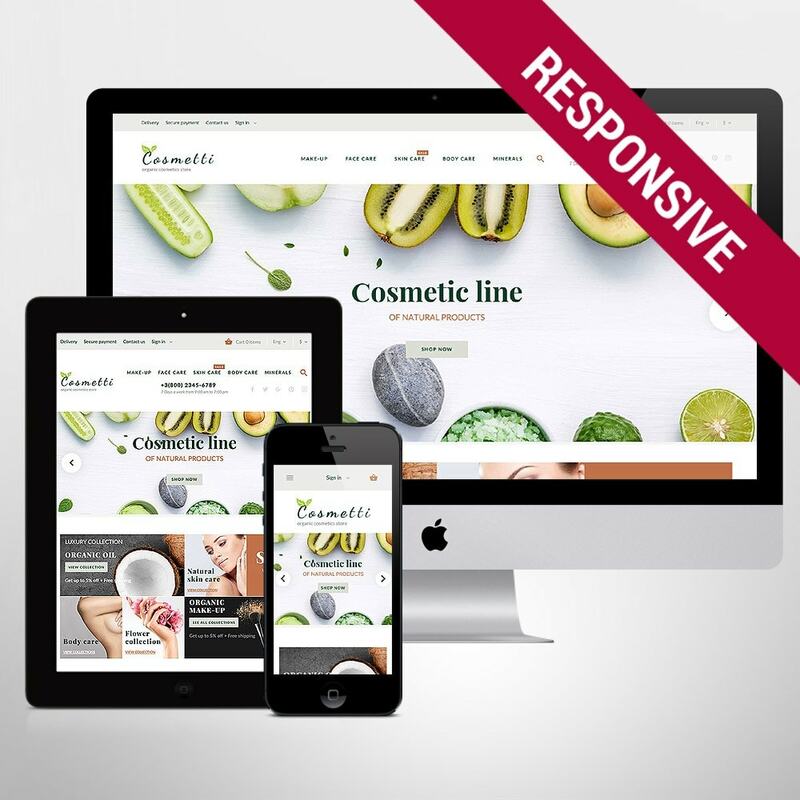 Cosmetti is a mobile friendly design and can be accessed successfully via all modern devices and browsers. Now your customers can do shopping right on their mobiles phones. 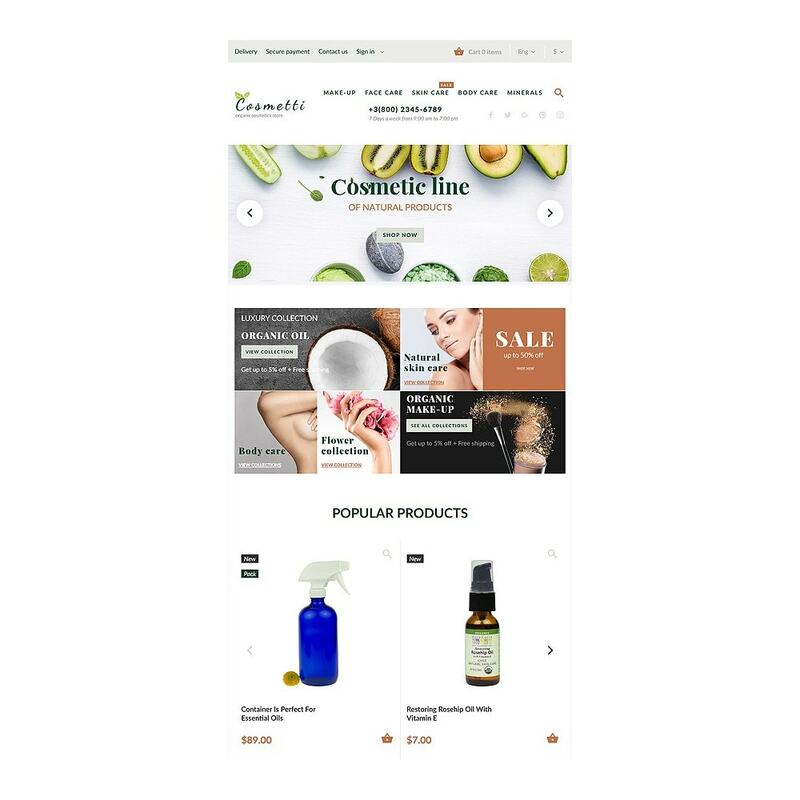 Build an impressive cosmetics eStore with Cosmetti.